2018 is looking like a great year for real estate investing. So many real estate markets across the US housing market have already displayed strong real estate investing attributes in just a few short months, and the Baltimore real estate market 2018 is no exception to this. It’s true that the shortage in housing inventory and the rise in investment property prices are causing the process of buying investment property to be a bit more of a challenge for real estate investors in the Baltimore real estate market. However, if a real estate investor knows exactly where to invest in the Baltimore real estate market for the highest returns, it will be worth it. We’ll even show you which real estate properties and real estate investment strategies will be the most profitable for Baltimore real estate investors this year. As with any successful housing market, Baltimore’s economy makes it one of the best places to invest in real estate. The economy is generally seen as one that regularly experiences slow but steady growth. This can make it a very reliable place to invest in real estate properties. It also means that while demand for investment properties is sure to grow, supply won’t have to increase significantly to get the Baltimore real estate market out of a seller’s market and into a buyer’s market. The top industries that boost the Baltimore real estate market are in the areas of healthcare, education, life sciences, and cybersecurity. These industries are predicted to boom in the next few years as millennials flood the job market. The Port of Baltimore also drives and stabilizes the economy of the city, having over 10.3 million tons of cargo come through in 2017. The campuses of Johns Hopkins University and The University of Maryland are also stable factors in the Baltimore real estate market 2018. They help keep a consistent demand for investment properties in those areas of the real estate market. Related: How About Baltimore Real Estate Investments? One key takeaway from this information is the affordability of a Baltimore investment property compared to the rest of the US housing market. According to realtor.com, the median house price across the national real estate market is $275,000 (as of February 2018). A Baltimore investment property is well below the national median house price. There are three types of investment properties that stand out in the Baltimore real estate market 2018: single family homes, multifamily homes, and investment properties near college campuses. Generally speaking, single family homes are the best real estate investments in any real estate market. These residential real estate investment properties tend to be the most reliable and stable in terms of getting a good return on investment. Baltimore Townhomes: Prices of townhomes are up by 11.3% compared to this time last year. The sales of these residential real estate properties are up 2.2%. Property listings rose by 9% even though housing inventory for this investment property is down 4.3%. Baltimore Condos: Condo prices are up by 2.8% from last year. Condo sales are up by 3% with inventory of these residential real estate properties having decreased by 19.4%. Listings fell by 1%. Baltimore Detached Single Family Homes: Detached single family homes have risen in price by 9.8%. Sales went up by 1.3%, while inventory fell by 16.8%. The listings for detached single family homes also decreased by 8.5%. While Baltimore real estate investors will find competition for these investment properties, they do promise a great return on investment nonetheless, especially when used with the best real estate investment strategy in the Baltimore real estate market 2018: fix-and-flip. This is because of the rise in investment property price, which is predicted by Zillow to continue to grow over the year. Use Mashvisor to find and analyze the best real estate investments in the Baltimore real estate market 2018. Click here to get started. Multifamily homes, specifically Baltimore apartments for sale, did well overall in 2017. Rent prices for these investment properties increased by 0.5%, while the vacancy rate remained the same, 5.6%. If you’re interested in Baltimore multifamily homes, it’s best to stick to the suburbs of the city, where supply will not see too much growth, keeping this investment property in a seller’s market of high demand. Baltimore real estate investors will prosper with investment properties near the college campuses of Johns Hopkins University and the University of Maryland. General real estate market trends show that investing in real estate in such locations is bolstered by consistent demand that doesn’t waver even in a downturn real estate market. A steady rental income is sure to provide a good return on investment for Baltimore real estate investors who choose single family homes, multifamily homes, or investment properties near college campuses. However, one other investment strategy provided overwhelming success for Baltimore real estate investors in 2017 and real estate market trends show it will carry on in 2018: the fix-and-flip investment strategy. Fix-and-flip investors boasted a 96.6% average return on investment in 2017! This was supported by a year on year increase of investment property prices greater than 2.4%. To start looking for and analyzing the best investment properties in Baltimore to get in on this high return on investment, click here. Any real estate investor can see that the Baltimore real estate market is one of the best places for both Airbnb rentals and traditional rentals. These neighborhoods have close to ideal cash on cash return and cap rate for either investment strategy. Take advantage of the Baltimore real estate market now. You know where to invest, what properties to invest in, and you can choose Airbnb rental, traditional rental, or fix-and-flip real estate investing. So, what are you waiting for? 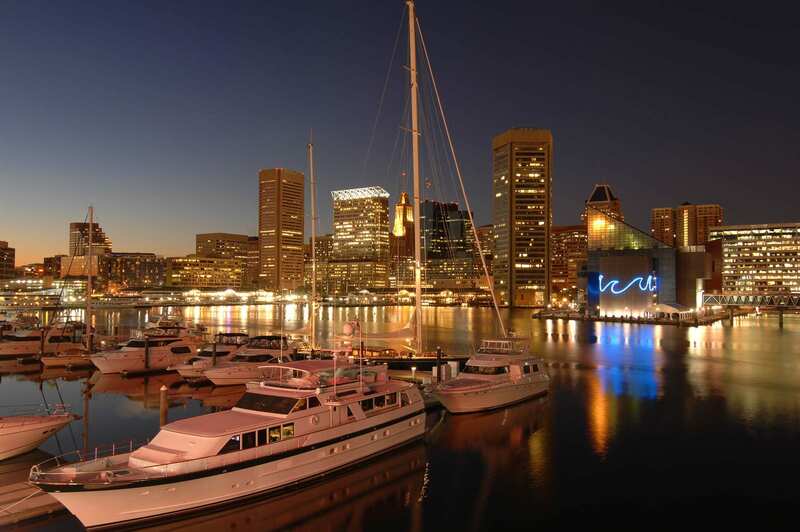 Visit Mashvisor now and start looking for Baltimore investment properties. What Is the Best Type of Miami Investment Property? Is It a Good Time to Buy Property in Florida for Real Estate Investing?